Higher education is expanding rapidly in Africa. Millions more men and women are enrolling in university; according to the UNESCO Institute for Statistics, the number of students enrolled in tertiary education shot up from 6.1 million in 2000 to 12.2 million in 2013. But what does this mean for economic development? It’s not quite as simple as "more students equals higher income", say the authors of an Atlas Award-winning study. Higher education is key to economic development, but the way the two relate is complex, say the researchers. “Of course investing in education leads to improved incomes, but that’s just too simple a model to account for real development in the real world,” said Dr. Simon McGrath, Professor of International Education and Development at the University of Nottingham and one of the authors of the study, which is published in the International Journal of Educational Development. Until recently, the focus was on primary education, since more people can be reached with the same investment. However, since 2000 there has been an increasing understanding that higher education plays a key role in economic development. 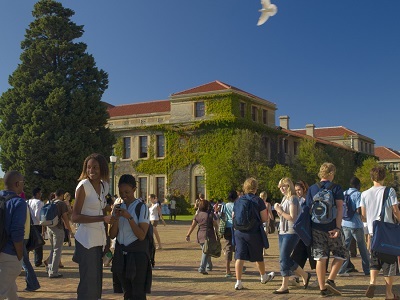 The study, funded by the South African Department of Higher Education and Training, proposes a new way of looking at the relationship between higher education and economic development. The widely adopted human capital view is that higher education increases skill and knowledge and results in higher income. But the researchers behind the new study say many more things need to be taken into consideration: geography, sectors, available skills and education systems and networks of companies are all important factors. The team looked at case study sectors in South Africa on three levels – primary (sugarcane farming), secondary (automotive) and tertiary (astronomy) – to see what factors account for the effect education has on the economy in each case. They conducted background research on aspects like the value chains, employment patterns and policy frameworks associated with each sector. They then mapped out all the actors involved and interviewed them to find out more about the skills and strategies needed in each sector. They also interviewed all universities in the region. The case studies highlighted the importance of geography: for the automotive industry, South Africa’s location is not conducive to rapid growth, since surrounding countries are not well equipped for the market. However, for astronomy, the country won a large international research project because of the clear sky in rural areas that are within close proximity to Cape Town, a world city. The project was led by Dr. Glenda Kruss, and involved researchers at the Human Sciences Research Council of South Africa. We talked to author Simon McGrath, Professor of International Education and Development at the University of Nottingham, to find out what’s so important about higher education, and what role it might play in the future. In this podcast Professor Simon McGrath talks about the complex role of higher education in economic development, and why it’s key to producing the right professionals for our future success. Why is education in general important for development and why has there been a focus on primary education until relatively recently? In the last 20 years we’ve had a combination of a very powerful human capital view, that if you invest in your own education you’ll get returns in a better job and better income. We’ve also had a very powerful human rights argument that education is a fundamental right, and therefore we need to do something in developing countries about getting children into schooling. Then there was the negative view that higher education was for the wealthy, the elite, and that it was very expensive. So many organizations questioned why you would put money into higher education when primary education was much more important, and for the same amount of money could reach many more people. What is the connection between education, innovation and economic development? If you take a human capital view of economic development, it’s fairly straightforward: if you invest in people’s education, then incomes will develop. But that presupposes that people are going to get jobs and that there’s something that’s actually driving the development. So part of the attempt to talk back to that from an innovation approach is to ask: how do jobs get created? How do countries take on new technologies and become effective producers? In this kind of argument it’s not just thinking about supplying the education, it’s saying that knowing where the possibilities for an economy to specialize and develop are going to be important in thinking about how economic development takes place. Did you come across any correlations or differences that surprised you? I think we became very clear on the importance of geography in all of this. Part of the reason why South Africa won a large international astronomy project was because they were looking for a southern hemisphere site with clean skies. So having a remote rural area within striking distance of a world city – Cape Town – was a distinct advantage for that project. Whereas when you look at the auto industry there are limitations because of the markets that are within striking distance of South Africa. And so in a sense geography was a force that I think became much clearer to us as important – how it limited in certain cases but permitted certain things in other cases. Could this model apply in different countries and economies? Yes, in a sense what we’re saying is it’s not a simple universal model – invest more in education, good things will come out – but if you take a particular country, you can look at what capacity it already has in terms of education and training systems, its industrial system, the existing network between firms and the capacity of the state to support them, but also what positions it could possibly take up within the global capitalist system. Does it have a potential to really take an industry a long way forward? It’s an analysis in which the specifics will vary according to different contexts, but the general argument that you need to look at a range of different factors rather than just say invest in more education. What challenges could be associated with this approach to planning higher education and what will need to change in order for higher education to have the optimum impact on development? I think what the model points to is the complexity that’s required to do those things. It isn’t a message that this is easy, it’s a message that several countries have succeeded. Part of what it stresses maybe is rather than focusing on the whole system at one time, it’s focusing in on what sectors may be most capable of achieving some kind of takeoff. What would they need in order to do that? There are successes, but you have to focus on what are realistic success stories, rather than just a blanket approach that we will do this. The new Sustainable Development Goals will be in place from January 2016, what role should higher education play in the future? The message of the paper is the need to think about higher education for development in economic development terms in important ways, that higher education is a key element of developing innovation, that higher education would be important to any kind of success at those upper ends of the economy. But I think another important role of universities is around professionals. Professionals play a key role in meeting health, education, agricultural and water goals: engineers, doctors, nurses, teachers – the whole range of professionals who will be vital to any approach to development. So I think reaffirming that higher education is not just for people to invest in their own human capital and become part of the elite, but for development to happen, there’s going to have to be a lot of professionals trained. The SKA project in South Africa is a greenfield site in the Northern Cape Province in the arid Karoo that hosts a large SKA telescope. The site is ideal for astronomy, since it is rural with clear sky and is protected from radio frequency interference thanks to special legislation – the Astronomy Geographic Advantage Act. SKA South Africa is the world’s largest science project in a developing country. 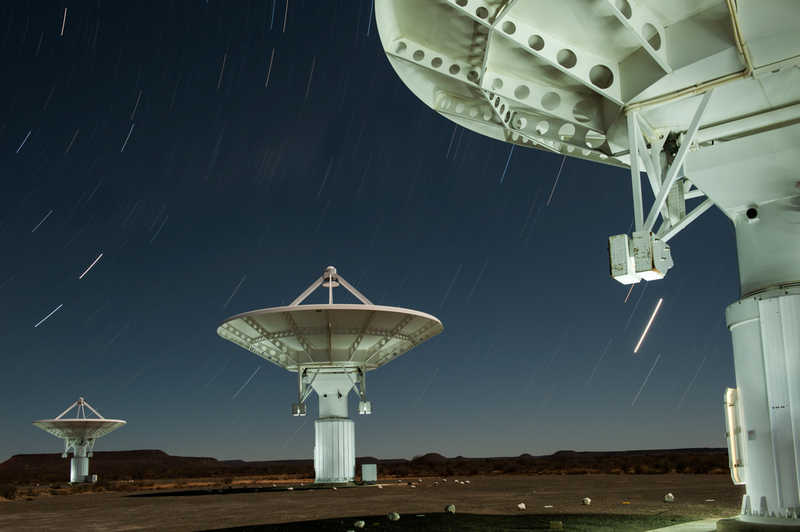 South Africa beat competition from countries like Chile and Australia for the SKA project, leading the researchers to look into the strengths in South Africa’s astronomy sector. In addition to its geographic advantage, the study reveals that the sector is powered by a strong global innovation network and ability to connect skills, knowledge, technology and funding through this network. Read more on the SKA South Africa website. The International Journal of Educational Development reports new insights and fosters critical debate about the role that education plays in development. Topics include economic growth and poverty reduction, human rights and well being, democracy and environmental sustainability. The journal publishes new evidence-based theories and studies that show and explain the way education changes in different settings, and highlights the role of local, national, regional and global contexts in shaping education and development.